Step 2: Select the categories for your checklist (14 to choose from). Step 3: Select the tasks for each category (130+ to choose from). Step 4: Download your customized template. Step 5: Deliver a customized, professional onboarding experience for each new hire! What does every new employee at every company have in common? They each had a first day on the job. Some new hires are onboarded well with efficiency and a fine-tuned process while unfortunately others are left to figure out most things on their own. A goal of both Lessonly and BambooHR is to help companies rock their orientation programs so new hires get settled in comfortably and love working at your company from day one. We have found that checklists are one of the most effective ways to keep a process consistent. That’s why we created this new employee checklist template builder. With it, you can create your very own, customized new hire checklist for each new employee, or simply create one to be used as a standard staff orientation checklist. Your new hire orientation checklist can be used to help with the initial orientation of a new employee (typically the first day on the job), or it can be used for the entire onboarding process (up to the first 12 months of employment). It really just depends on how you customize your selections. Also, when building your new employee orientation checklist, be sure to keep in mind who will be completing it. Is the manager of the new hire going to be using it or is it a checklist for employees? This is important because a new hire checklist for managers may be very different when compared to the onboarding checklist for new hires. As we mentioned, creating a checklist for onboarding new employees is incredibly important, so you may want to create a template for your whole company, rather than just your department. If your company has different departments that touch the various parts of the new employee orientation program, you may want to create a template that is specific for each department’s role in the orientation process. Either way, it’s important to create a regularly implemented new hire checklist template across your company to be in compliance with new employee orientation best practices. We believe a new employee orientation ensures new hires get up-to-speed on the company, the new job and everything else they need to know to be successful in their job as quickly as possible. Without proper orientation, they could be floundering for months and not be invested yet in the company or the job. Finding out what has worked (or not) for employees in the past helps you learn what to offer in the future. We think you should consider what has made a difference to others. New employees spoke out about what they want to become productive quickly when starting a new job in a survey BambooHR conducted in February of 2014. 76 percent of respondents said they want on-the-job training most; 73 percent wanted to learn about the company’s policies, such as dress code, time off and email; 59 percent wanted to go over administrative tasks, like touring the office and having the computer setup; and 56 percent said they would like to be assigned to an employee “buddy” or mentor. Best practices are only “best” if they make sense for your company. Be sure to determine what has worked in the past for your current employees (especially your rockstars). Use what works. Check to see what’s working for other companies and try to implement them, see if they’re right for your company as well. Involve management and HR to make sure you cover everything that needs to be done. From the same survey, new hires said they prefer to be shown around and trained by their own direct manager (33 percent). Use the checklist options to make sure nothing gets left undone. New hires can tell if you’re not prepared and may feel you didn’t care enough to create an onboarding plan. Remember, new employees are excited to get started and contribute to your company as quickly as possible. Make sure your cross all your t’s and dot your i’s so that you set your new employees up for success. Scroll through our new employee checklist to see lots of ideas (some you must do and feel free to try some of our ideas that have worked for our companies). One of the first things many employees receive today is a new hire orientation packet. Each new employee packet requires thought and planning to be truly effective. A new hire welcome packet may include a number of things including a map of the office, employee handbook, office supplies, a company t-shirt or even the new employee’s favorite candy bar. Also, feel free to use the new hire onboarding checklist builder above to create a new hire packet checklist by only including the items you want in the welcome package for new employees for your own onboarding program, or create a new employee packet template to be used as a new hire packet sample by your whole company during orientation. When you’re putting together your new employee orientation checklist, make sure to include the new hire forms checklist portion to cover your new hire legal and employee tax bases. Here are some forms for new hire employees that we typically see listed on a new hire orientation checklist template. Although you may want to keep a separate form to retain new employee information, you can use the “Employee Information” section in the builder above to add the new hire’s name, title, department, manager, email, and date to your onboarding checklist. That way, if you are creating a new hire employee checklist for more than one employee, you can keep them all straight. New hire forms that pretty much every new employee in the United States must fill out are the new employee tax forms, with the most common being the W-2. Obviously, keeping in good standing with the Internal Revenue Service (IRS) of the United States is critical, so make sure you include the tax paperwork for new employees when you are creating your new employee forms checklist in the builder above. The I-9 form is commonly found in a packet of forms for new employees. According to the United States Citizenship and Immigration Services department, the I-9 is used to verify the identity and authorization of anyone attempting to gain employment in the United States. Interestingly, this includes both citizens and non-citizens. Because of this, sometimes, the I-9 form is referred to as the “employment form.” If you are required to submit this form, be sure to include it in your employee orientation programs. Most employees prefer their paycheck to be submitted to their bank account automatically through a direct deposit service, and many companies now require this. In order to set up direct deposit, a direct deposit form, along with a canceled check (to prove ownership of the bank account), must be provided. If this is something your new employees are required to do, or simply want to, make sure to include it in your new employee form template in the builder above. If all of those employee hire forms are too much for you to keep track of when hiring a new employee, just add the new employee forms checklist to your new hire checklist and you will have a much more comprehensive new hire orientation presentation. Even though the new employee forms section will cover most of the new employee paperwork required to onboard a new hire, you may want to create a separate new hire paperwork checklist template to cover other types of new hire documentation. 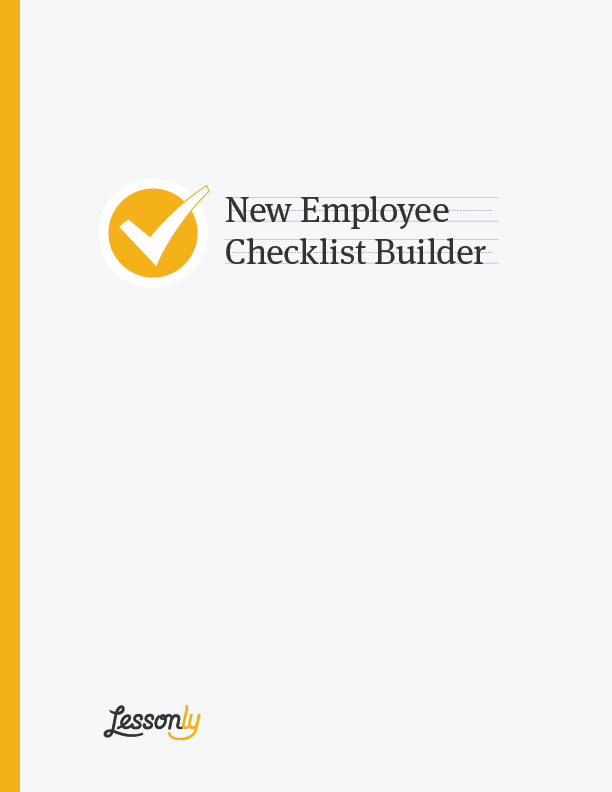 Rather than creating a separate new employee paperwork checklist, we categorized the other types of paperwork throughout the other sections within the new employee checklist builder above. The other paperwork is usually under Permissions, Technology or Policies and Procedures. Safety orientation is critical for certain jobs, so make sure you include a new employee safety orientation checklist in your new hire packet if it applies. Topics typically include emergency procedures, first aid, reporting safety issues, and legal training. Whether you are in customer service or the CEO, chances are you’ll need some technology to be successful in your role. A new employee IT checklist will typically include hardware and software, a phone and/or headset, an email address and credentials for accessing the WiFi and company intranet. A new hire training checklist is something many onboarding managers forget to include, so we’ve made it easy for you to add this to your new employee checklist. Training checklists typically include communication, sales, software, industry, leadership, and company overview training. It’s so important to get the new hire orientation process right. We find that it flows much smoother if you have an employee onboarding process checklist. We recommend at least including the section categories in the builder above for your process checklist (if you don’t select any tasks in a section, the section name will still appear in your template to be downloaded as a PDF). Employees are interested in learning about the details of their benefits. To put them at ease, make sure you create an employee benefits checklist that includes everything from pay rate, payroll schedule, medical, dental, paid time off (PTO), and if you offer extras they should know about, like paying for their gym membership or dry cleaning. It’s important each new hire knows what’s available. Sometimes new hires need HR’s help filling out the benefits forms and reminders to know when they’re due. If you are building out an employee handbook or looking to improve it, feel free to use the above checklist builder to create a new hire handbook checklist. We also have another resource, the employee handbook template, as another tool to help create a complete handbook for your team. 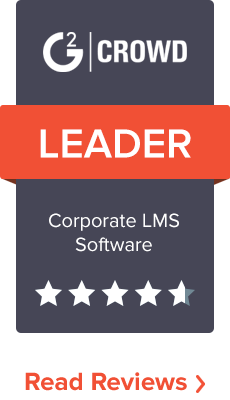 This could include the company overview, office tour, policies and procedures, and HR system sections to name a few.